Aquaponics is a farming method that combines the benefits of aquaculture and hydroponics. A nitrifying bacteria convert the wastes that fish produce. They then serve as an organic nutrient source for the plants. The water passes through a hydroponic plant growing section for filtration then recirculated back in the fish tank for reuse. With a natural ecosystem that recycles water continuously, an aquaponics system uses 90% less water versus traditional farming. Additionally, the system is self-sustaining which requires low maintenance and zero pesticides, fertilizers or herbicides. Aquaponics systems are sustainable and environment-friendly, as there are no toxic wastes and run-offs from chemicals. Ultimately, aquaponics systems can help urban food growers maximize food yield. This is possible by harvesting both fish for a protein source and fresh plant produce. Minimal space is no longer an excuse not to grow healthy food. Who’s Onboard in the Aquaponics System Farming Revolution? Portable Farms Aquaponics Systems is a California-based technology company specializing in training, licensing, as well as the installation of the aquaponics. 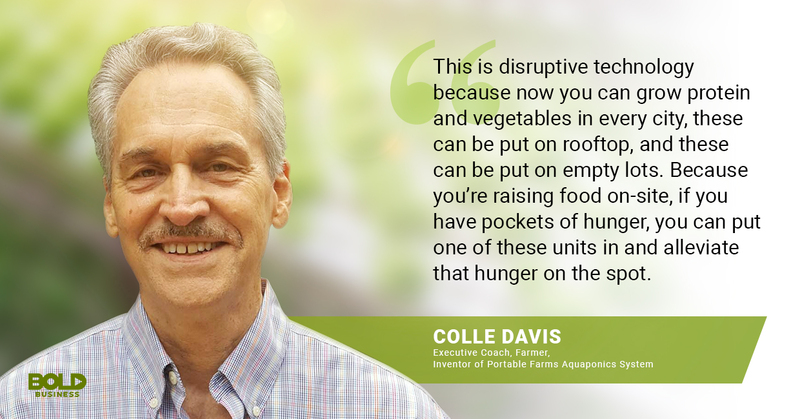 Founder Colle Davis started the company back in 2008 with the question in mind, “Is life sustainable in the 21st century and beyond?” A decade later, Portable Farms Aquaponics System is now in 25 countries and all 50 US States. AquaSprouts’ goal is to bring aquaponics system aquarium to every home. Combining fish keeping and hydroponics, AquaSprouts’ gardening system is low maintenance, free-standing and it also requires little space. It works by circulating water from a standard 10-gallon aquarium up to a garden bed which naturally fertilizes herbs, vegetables, and ornamental plants. With AquaSprouts aquaponics system, indoor gardening is simple and fuss-free. Back to the Roots founders Alejandro Velez and Nikhil Arora aim to bring sustainable grow-at-home products into households. One of the company’s offering is the Water Garden 2.0 which is a self-cleaning fish tank that also grows microgreens and herbs up top. With its compact and self-sustaining design, even urban-dwellers and city natives can grow their own food through the aquaponics system aquarium. Ouroboros Farms based in California is one of the largest aquaponics system farms in the country. Ouroboros Farms partnered with local establishments to allow locals access to locally-grown organic fresh produce. The farm also offers aquaponics classes accommodating various levels of farming knowledge. Founders Jessica Patton and Ken Armstrong believe that reconnecting people again with the food source empowers communities curbing the growing food security issues. Solutions Farms in Vista, California is an aquaponics farm under a nonprofit organization called Solutions For Change. The farm also functions as a laboratory for the beneficiary families of the organization. As a social enterprise, Solutions Farms is empowering homeless families through sustainable farming, teaching relevant skills, and regaining financial capability. Edenworks is out on a mission – Brooklyn today, tomorrow the world. Founders Ben Silverman, Jason Green, Matt La Rosa are looking for a more efficient way of growing food. Realizing that most of the country’s food is grown on the west coast, the founders then created the opportunity to innovate on technology. The food there can grow using the aquaponics system aquarium. They established their farm and headquarters in the Bushwick area of Brooklyn. Currently, Edenworks produce is in the shelves of select NYC Whole Foods Market and Foodtown stores. Traders Hill Farm is an aquaponics system aquarium located in Hilliard, Florida. Started in 2013 as an aquaponics experiment, Traders Hill Farm is now a multi-stream income segment. The repurposed 400-by-37-foot chicken barn is now producing 1,000 lbs. of fish and 4,000 lbs. of lettuce every month. But more than the income potential, Traders Hill Farm was able to provide sustainable, clean and wholesome produce for the region. 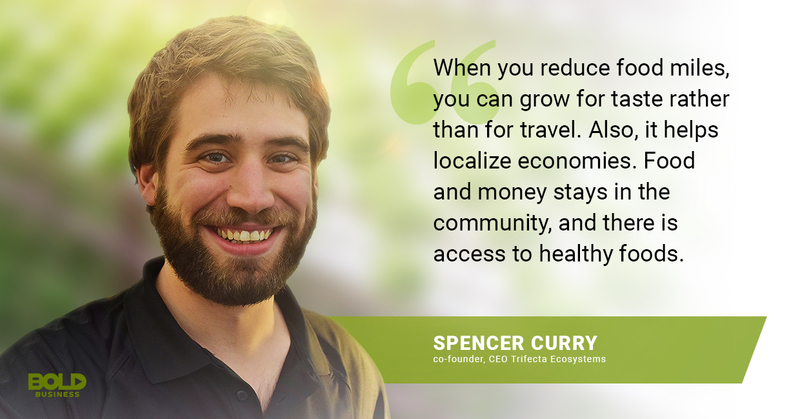 Trifecta Ecosystems was founded by Spencer Curry and Kieran Foran in 2012 with a mission of creating sustainable food systems for the future. As young farmers, Curry and Foran realized the need to find durable, efficient and sustainable means to grow food in any environment. They then discovered that the aquaponics system answers all requirement. 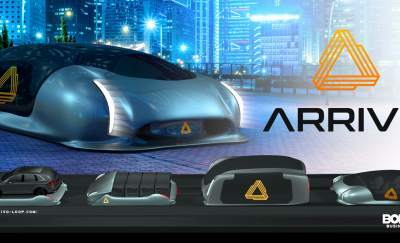 Through the initiative “City that Feeds Itself™” Trifecta Ecosystems now have a 3,500 sq. ft. indoor farm located in Meriden, CT, empowered urban farmers through education, workshops, and city farming projects. Reducing food miles means improving the local economy and having better access to healthy food. Currently, the aquaponics market is experiencing steady growth. In 2017, the global aquaponics market was valued at $523.7 million, and the total global market value for aquaponics systems will likely reach $870 million by 2022. Commercial-scale food growers and urban backyard farmers contribute to the growth. If this trend continues, access to locally-grown fish and salad greens raised using economical and sustainable farming methods will increase. Imagine a world where dining tables serve dishes made from organic as well as farm-fresh produce. Can it get any better than that? The aquaponics system aquarium is a farming innovation we should look forward to practicing. What is Flutter and Can it Be Stopped?